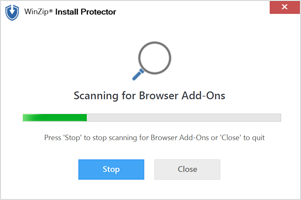 Install Protector helps you download and install applications with confidence. 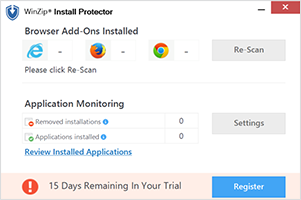 It monitors your download and alerts you when it detects unwanted add-ons. 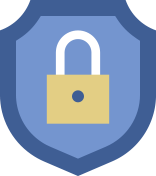 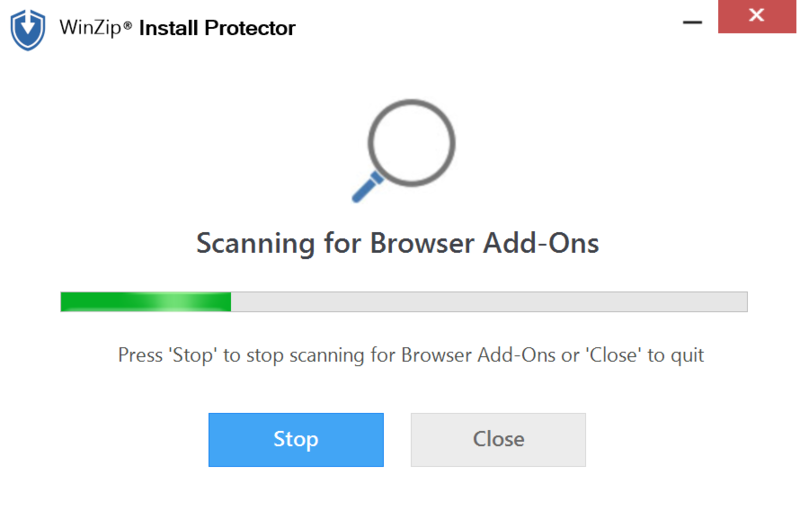 If your installation made adjustments to your browser settings, Install Protector lets you revert unwanted changes in just a few clicks. Enjoy worry-free installations of any application with WinZip Install Protector there every step of the way. 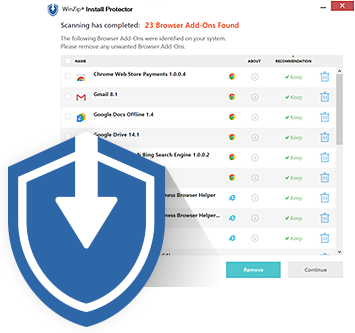 Scan and easily remove sneaky browser add-ons across your Internet Explorer, Chrome and Firefox browsers. 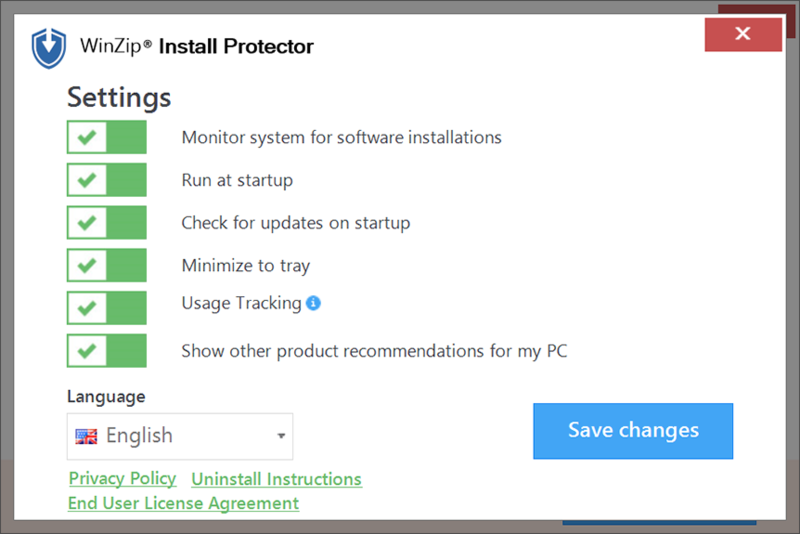 Designed to stay out of your way, Install Protector is light on resources and only shows up when something needs your attention. 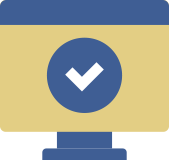 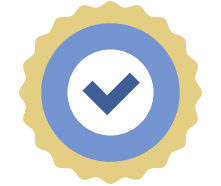 WinZip products come highly recommended as a trusted solution for your PC by industry experts. 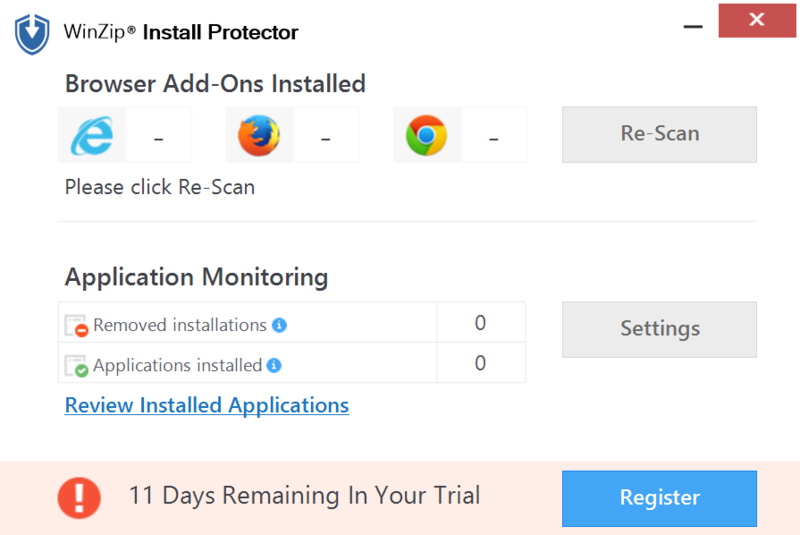 Stay protected from unknown installations with WinZip Install Protector.